Our hair and beauty experts at MyTopFace love products that save us time, work well and come in fun packages. Batiste dry shampoo does all of that! Dry shampoo is designed to remove oil and grease from your hair without water. 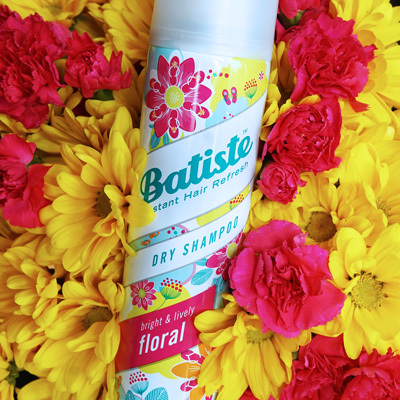 We found that Batiste really excels at refreshing our locks. One thing that really sets this dry shampoo apart is the fact it comes in a variety of scents. You can pick one that fits your mood that day and be assured that it will instantly refresh your hair. Our experts were able to try 3 different fragrances: “Tropical” is a fun blend of coconut and exotic fragrance like a Caribbean party. “Floral” is a lively feminine scent that takes us back to the lazy days of summer. And lastly, our hair experts at MyTopFace picked the raspberry and vanilla laced smells of “Sweetie” as their favorite. Dry shampoo is the choice of many hairstylits because it prevents quick fading and saves the color between visits. Batiste has even created a line with “a hint of color” in 3 shades that blends beautifully with any hair color. Our beauty experts recommend holding it 10-12 inches from your scalp to avoid any white marks. Then simply use your fingertips to massage the product into your roots. In seconds you have revitalized your hair and saved it from the heat of your blowdryer after another washing. And unlike shampoos that come in a categories like dry, normal and oily. 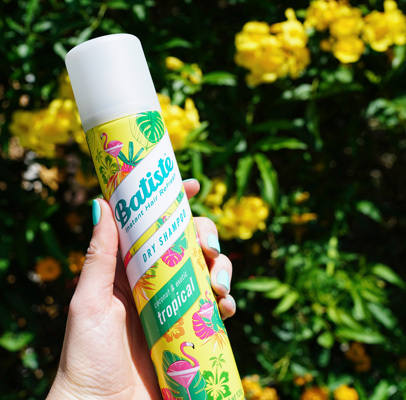 Batiste is perfect to refresh and add body to any hair type. MyTopFace experts with oily hair and also those with dry hair tried it and had the same success. So next time you need a few extra minutes in the gym or want to hit that snooze button, do it! 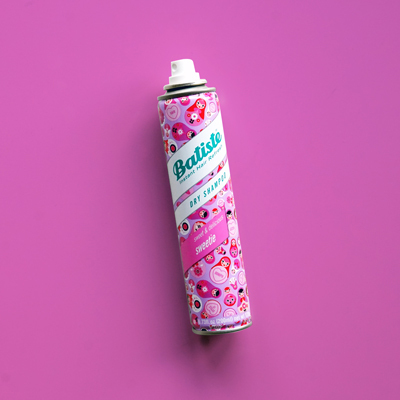 Batiste dry shampoo, has been the #1 dry shampoo in UK for the past 30 years. And it will give you back the time you need, give your hair a boost of body and keep you looking great!